The official website of EUSALP is released. 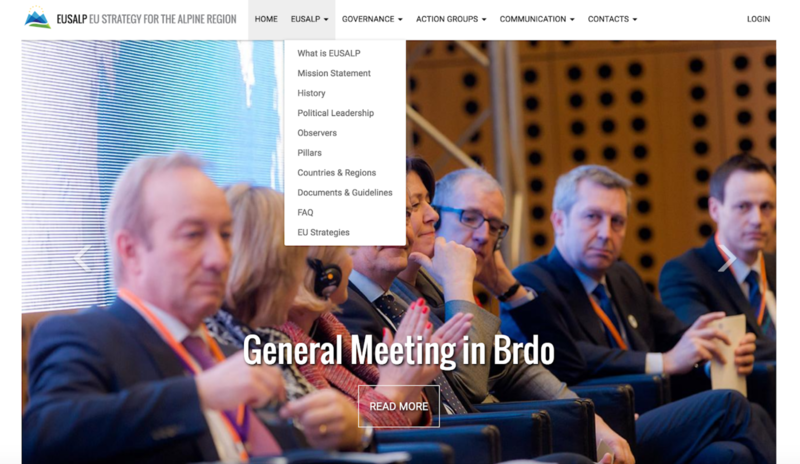 The site is not just a formal display for the Strategy, but a collaborative environment in which all Action Groups and EUSALP bodies can publish and share their own contents and news. The website provides users with the possibility to interact with all the Action Groups by asking questions or propose suggestions and to subscribe to the EUSALP newsletter. This will be available in English and in the four Alpine languages (French, German, Italian and Slovenian). Updated versions of the EUSALP website have been released in January and March 2017.